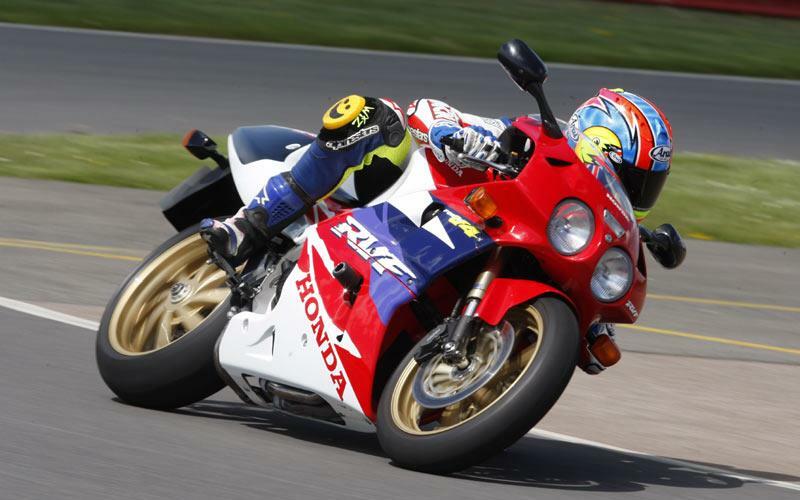 With more examples currently on a SORN (25) than there are licensed for road use (12), the RVF750 – arguably the 1990s superbike – is apparently an endangered species. There’s no denying its V4 motor is the star of the show, a hand-crafted statement of excellence, but for the money (north of £18,000 in 1994), it’s fair to say that prospective owners would have liked more than 120bhp and a much more ‘special’ homologation special. For instance, what are 1993 Honda CBR600F wheels, mirrors and indicators doing on such an exotic masterpiece? It's a shame the Honda wasn't studded with some truly unique, one-off parts to help set it apart from big Japanese sports bikes in general. All this aside, the bike has a real fluidity at speed, but when pushed against modern machinery would quickly show its weaknesses. Or even contemporaries, for that matter – the 1996 Suzuki GSX-R750 was 10kg lighter! Regardless of its faults, the RVF is beautifully bolted together, and an undoubted classic built to last a lifetime.